Bring your own bags and learn about living eco at the Greater Dandenong Sustainability Festival. The free family-friendly festival has fun activities, performances and interactive displays to help teach simple everyday ways to lighten your environmental footprint. 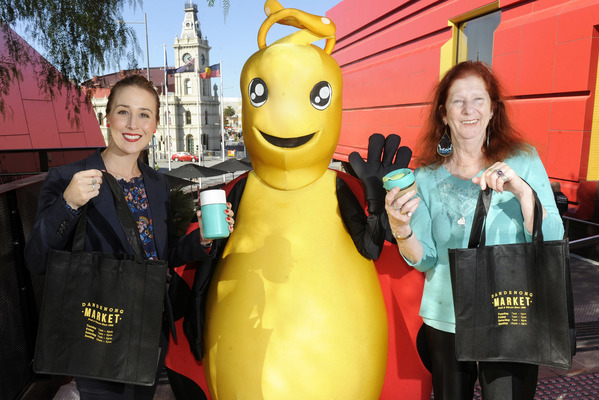 The event, in its sixth year, has free face painting, free pedal-powered smoothies, take-away vegie seeds, live native animal displays and cooking demos. Mayor Roz Blades said the council were encouraging people to bring their own bags. “The simple act of bringing your own reusable bag is one way you can make a positive difference to the sustainability footprint of our city. “It doesn’t take a lot to make a difference and this festival is proof of that,” she said. Anyone who rides their bike to the event will also receive a free bike service and full bike pumping. The first 100 people that bring their reusable cup to the Dandenong Market Tavern on the day will receive a free hot beverage. The 2019 Sustainability Awards will also be launched at this year’s festival. The Greater Dandenong Sustainability Festival will be held on Sunday, 7 April from 10am to 3pm at Dandenong Market.